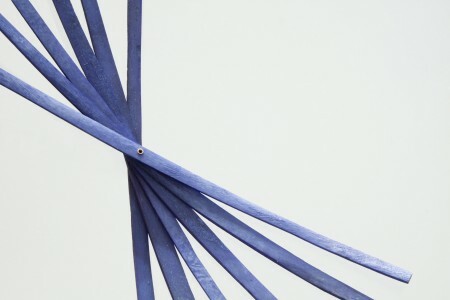 We explore a world of wonders within the conception of working with material strips. Our twisting installation is the result of their experimental attitude, in which materials are treated with a sense of wonder. This enables us to reveal dynamic qualities within static materials. The prismatic surface expresses contrasting qualities, feeling both naturally fluid and mathematically precise, at the same moment. On show during Dutch Design Week 2017 at Dutch Invertuals in collaboration with Luxaflex®. From April till July 2017 we were invited for a recidency at DordtYart. DordtYart is an art park, which is located on a cultural, industrial site in Dordrecht, the Biesboschhal, a former shipyard in the Stadswerven. 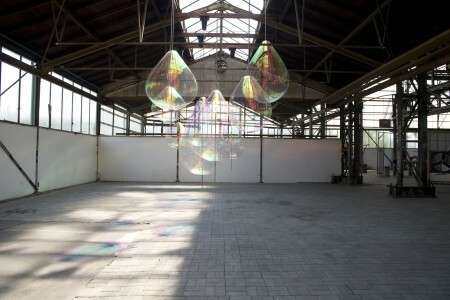 Where visual contemporary arts is accommodated, not only in the form of exhibitions but as well to produce new work. During a two month period we have been researching motion by transforming a two dimensional surface to a three dimensional object. 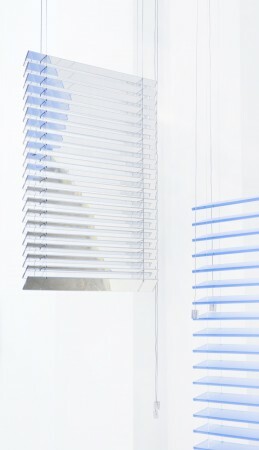 Playing with slender strips of material is an ongoing research which stared in 2015 by the HUE-blinds project and was continued with the Holon project and still finds its way to new projects and works. A kinetic installation in between reality and imaginary. A glitch, untouchable and possibly hidden again in the blink of an eye. A play of colours, movement and reflection. 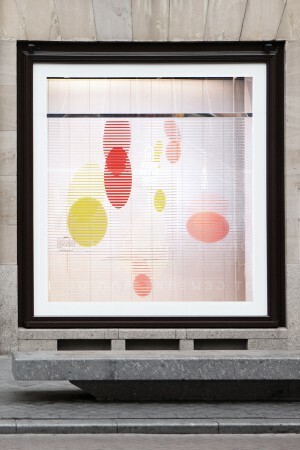 On show at the windows of de Bijenkorf Amsterdam from September 5th until October 1st. This installation will also be on show during Dutch Design Week Eindhoven at de Bijenkorf Eindhoven from Friday October 20th until Monday October 30th. A mirror is not only showing a reflection of it’s surrounding, it copies of what we intend to see as reality. 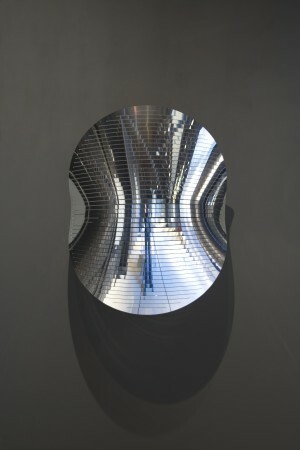 Martens & Visser’s mirror is instead creating a new image which is added to the reality. Slices of mirror echo it’s surrounding, creating a distorted image of what we would suspect. Martens & Visser joined Dutch Invertuals in 2011 and still collaborate. We are fascinated by structures. The simplest structural form is a fold; applying a fold to a piece of paper, for instance, lends it greater sturdiness. This was the angle from which we approached the metal laminates from Homapal. Introducing folds and interconnecting various surfaces gave rise to a robust structure. 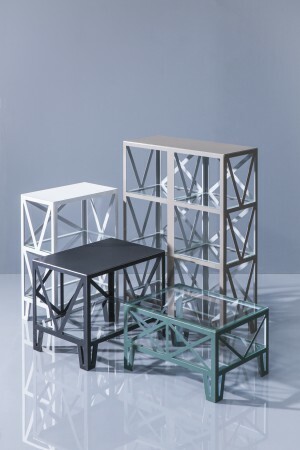 Due to its thickness of just 1 millimetre, you would normally connect Homapal metal laminate on a load-bearing base, such as MDF. But here we’re showing a new use for the material, fully independent. The cupboards from Flat Cabinets now do not exceed 1 millimetre in thickness, creating a light structure and interplay of lines that nevertheless exudes sturdiness. Reflecting Holons is an kinetic installation that immerses and surrounds its audience with ephemeral magic of light and movement. Jetske Visser and Michiel Martens call their mesmerizing objects they stumbled upon by experimenting with reflecting materials HOLONS. 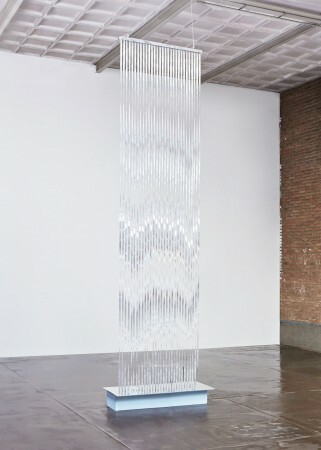 Long strips of oil like transparent foil combined with digital controlling become a visual entity reflecting the lights around them as if they were water drops. 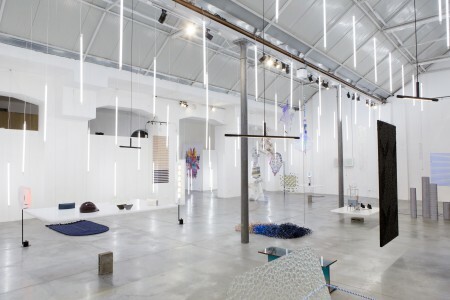 The installation creates a bridge between the analogue and the digital, as all movements of the Holons are digitally directed but the outcome always changes due to the material aspects, physics and size. 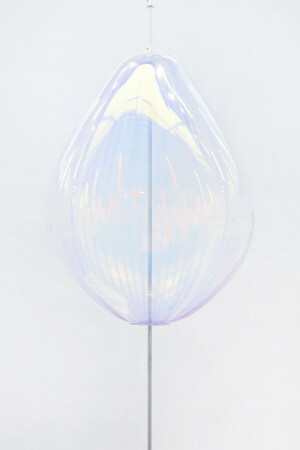 The reflecting Holons are traveling the world for exhibitions in museums, light events and are in permanent use in museums, hotels and private collectors. 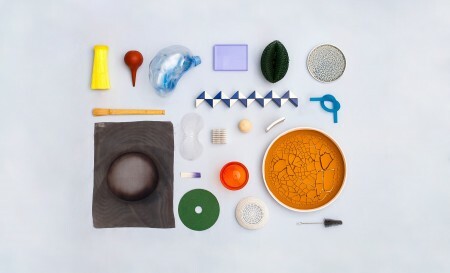 As part of Dutch Invertuals exhibition ‘Fundamentals’ we opened our archive and share 20 objects which inspire us. Objects we found on the street, from different countries, or samples designed by ourselves and colleague designers. Concept Raw Color, Dutch Invertuals and Daphna Laurens. On show during Dutch Design Week 2017. Thanks to Lotte de Raadt, Kirstie van Noort and Ruben der Kinderen. Multiple slender strips combined in a moving object. 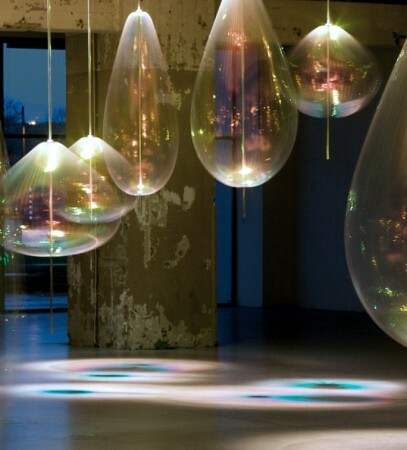 The work investigates refracting, reflecting, light and color. The products capture light and glow. By putting the objects in motion, the different strips appear to melt into a liquid whole. Colour, radiance and diffraction of multiple layers become one entity. The semi-transparent layers divide spaces. In the movie ” Forgotten memory” you step into the world of dementia. An invisible and hidden world is exposed. How look everyday things through the eyes of someone suffering from dementia. How do they experience their environment? What is a teapot if you don’t know what a teapot is? We always refer to the things we have learned, but what if we do not have anything to refer to? Soot is impure carbon particles resulting from the incomplete burning of organic matter. While the black carbon in it is one of the biggest causes of the hothouse effect, pure carbon molecules are present in all known life forms and essential to all living systems. Martens & Visser use this coal-black material as a fabric dye. A set of instruments is used as tools for collecting and processing the soot. 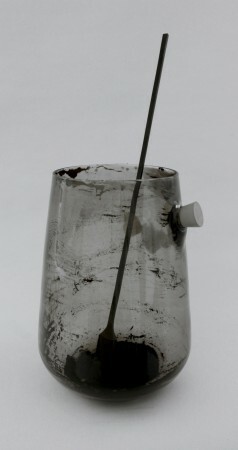 The pigment is collected by burning oil inside the lamp. 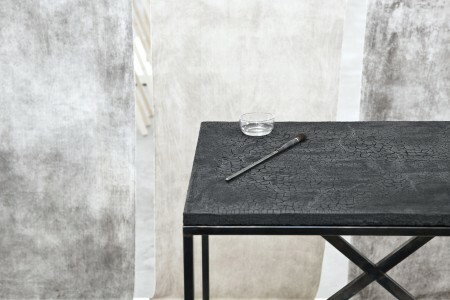 Martens & Visser use this coal-black material as a pigment in her fabric dye by collecting layers of soot created by burning oil inside a the lamp. The color intensity is determined by the number of hours the lamp burns and the strength of the fixative used. The textile industry is one of the most polluting of all industries, and the appropriation of a notorious pollutant for the coloring process bears witness to large-scale environmental issue. The earliest characteristics of our civilisation can be seen in treated bones. Bone is a material that has historically been used to make tools jewelry and other products. 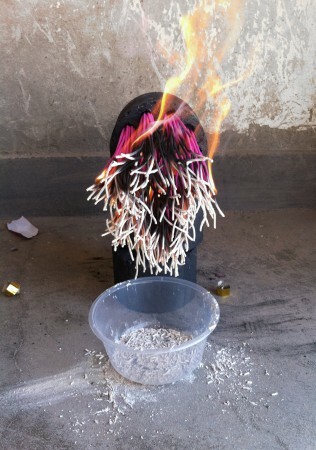 Today bone is viewed as waste; it is crushed and burnt. Michiel and Jetske are giving bone another lease of life by highlighting its beauty. These images show a collection of shapes made from cow bone. With this research they examine the characteristics of the material and explore its usability. Searching for a way to use the old skeleton and creating a new framework. A fascination for the old Japanese Suminagashi technique forms the basis for the experimental methodology where the hydrophobic reaction between water and oil based pigments is used to create a unique graphic pattern. Due to this process of discrepancy a fractal motif arises on the surface of the water. 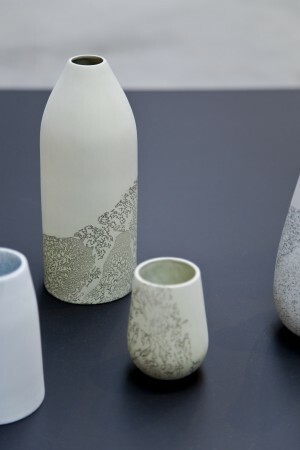 This fluid pattern of liquid tension is captured and fixated on delicate silk and fine ceramics. A fleeting two-dimensional surface transforms into a tangible and solid whole. Because of the substantial water consumption, the chemical dyes and worldwide transport, the textile industry is a serious pollutant. 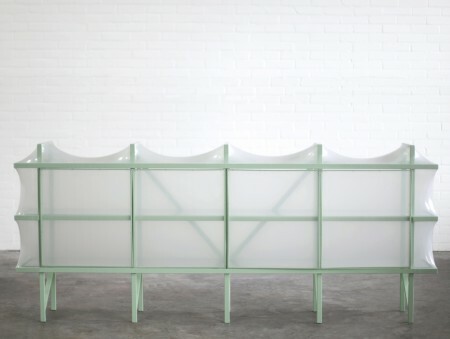 Martens & Visser studied new production methods using locally sourced materials. Excess and waste materials from the local industry around National Park the Biesbosch, combined with natural resources, have formed the starting point for the yarns, dyes and new dying techniques. 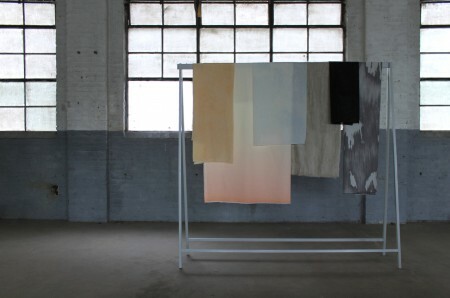 Raw Materials, collection Biesbosch is an industrially produced, locally sourced collection of fabrics. Steam gave rise to an industrial revolution. It created opportunities for machine-produced products and new speeds in transportation. For the textile industry steaming became a method to fixate the dye in the fabric. 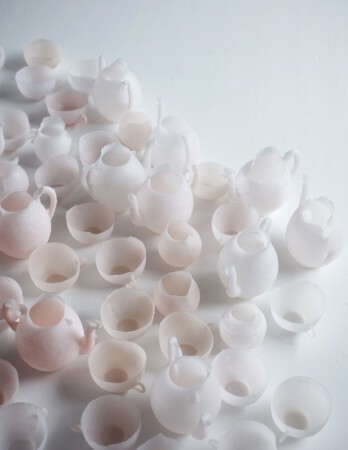 During the Beijing Design Week 2013 ‘Starting Something’ was presented by the guest city of Amsterdam. The exhibition started an active dialog between Dutch designers and students of the CAFA university (Central Academy of Fine Arts) in Beijing. Martens & Visser where invited to give a workshop based on their project ‘ROET’. 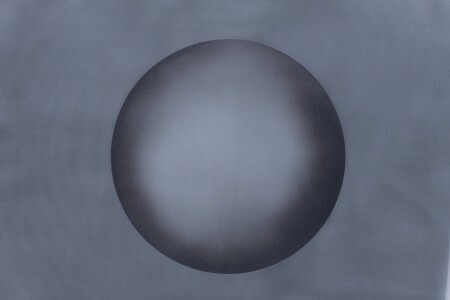 For one week they harvested the soot and smog from Beijing to use this blackish powder as a material. The collected substance was used as a dye for textiles. Exploring the possibilities of this non used material.